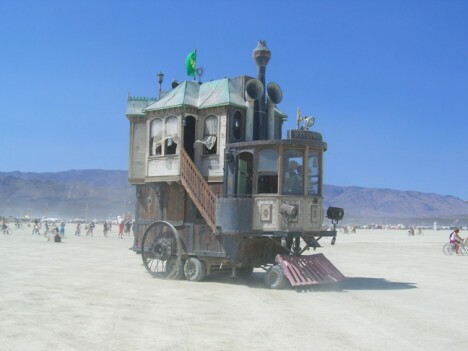 Japanese tea houses spring from the roofs of ordinary-looking trucks, ornate handcrafted cabins are tacked onto school buses and fire trucks are converted into monster off-road RVs when industrious and determined DIYers decide to take on building their own mobile homes. 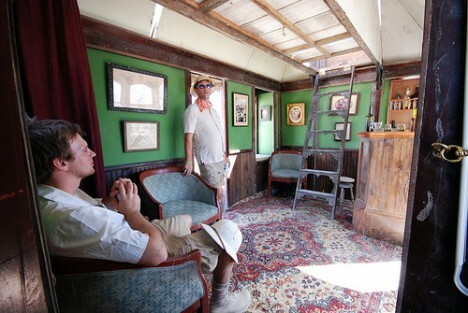 One tiny house on wheels even has a back deck with a full-sized hot tub, and an incredibly fun two-story Victorian house on wheels makes its way around the desert. 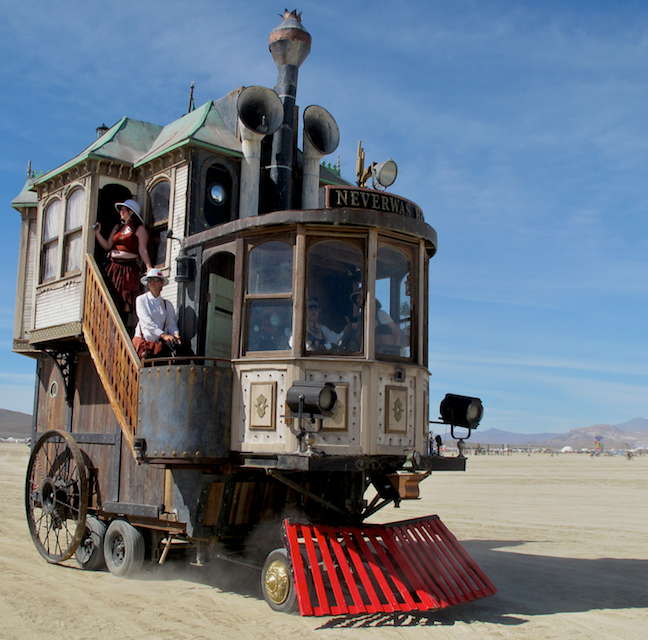 RVs rarely get more ornate than this – a two-story Victorian house on wheels, designed, naturally, for Burning Man. The Neverwas Haul was built over six months in 2006 and is made almost entirely of recycled materials. 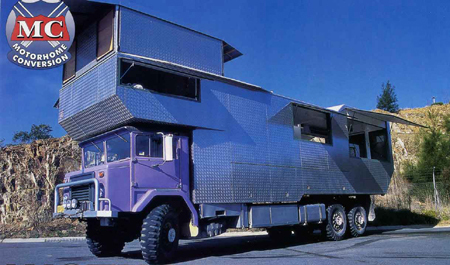 Designer and builder Shannon O’Hare used the skills and experience he gained creating theme park structures around the country to come up with this amazing vehicle, which is built upon the base of a fifth wheel travel trailer. You can even tack a generously sized wooden hot tub – powered by wood, if you like! 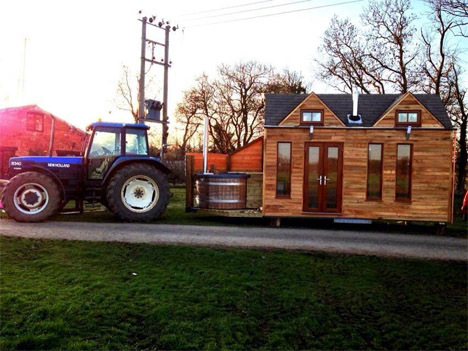 – onto the back of your very own custom-built tiny house. 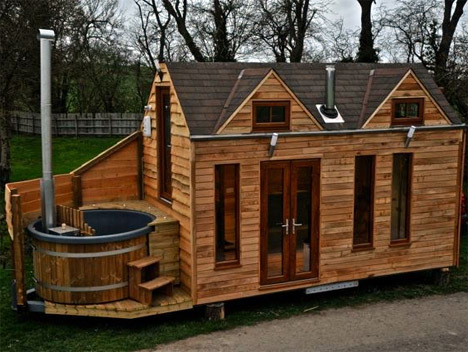 UK-based Tiny Wood Homes builds both hot tubs and little houses on wheels, making this combo a natural fit. The whole setup is small enough to be towed around via truck and sells for about $57,000. 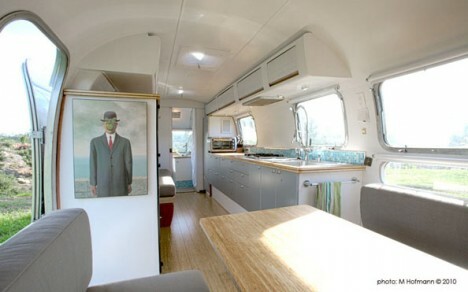 Architect Matthew Hofmann purchases old Airstream trailers and renovates them into beautiful and modern mobile spaces, custom-creating everything from backyard offices to tiny roaming homes. 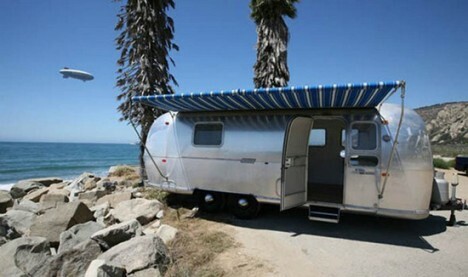 The project began when Hofmann decided to downsize from a large house to an Airstream of his own. People took notice and soon enough, demand turned into a business opportunity. Sound out the name of this creation phonetically – that’s basically the reaction of everyone who sees it. 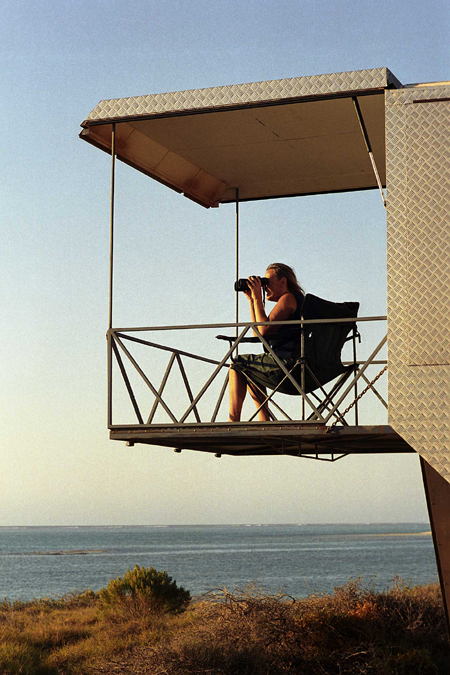 Australian photographer Rob Gray wanted a home base while adventuring in the Australian wilderness, so he created his very own monster RV complete with a viewing deck, hydraulically operated roof and a bedroom over the cab. 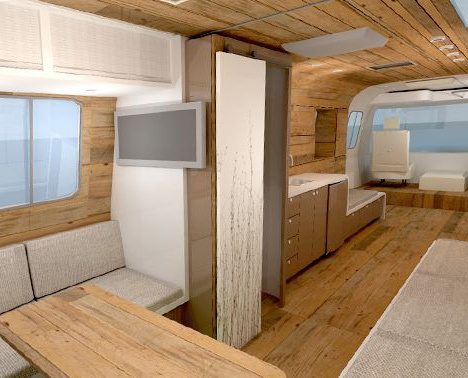 It’s got all the amenities of a standard camper, but can go off-road. 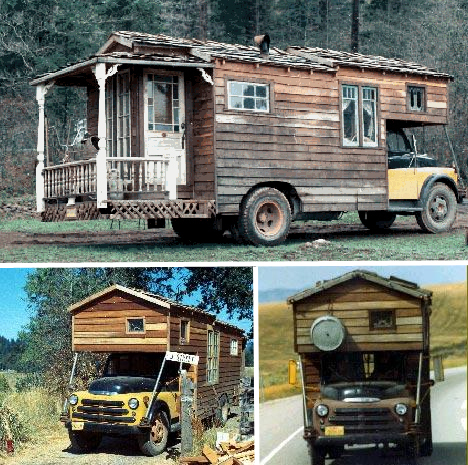 What looks like no more than a narrow cabin from the back is revealed to be an incredibly intricate hand-crafted mobile home, built right onto the back of an old Dodge bus. 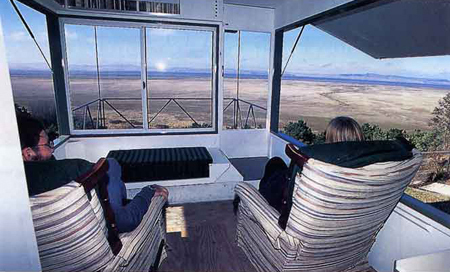 Featured in the 1979 book Rolling Homes by Jane Lidz, ‘Al’s Housetruck‘ has a sleeping loft over the cab, a wood stove, stained glass windows and decorative porch railings.